Climb aboard a boat and sail towards the discovery of the Bordeaux vineyards. Taste wines and fine foods during the delightful cruises on the Garonne River. Feel like discovering the vineyards of Médoc and de Blaye at a leisurely pace? Then why not sail along the Garonne River! A boat takes you to the most beautiful wine districts before a tasting of fine wines and a delicious lunch ‘at your fingertips’ at the Patiras Island lighthouse. 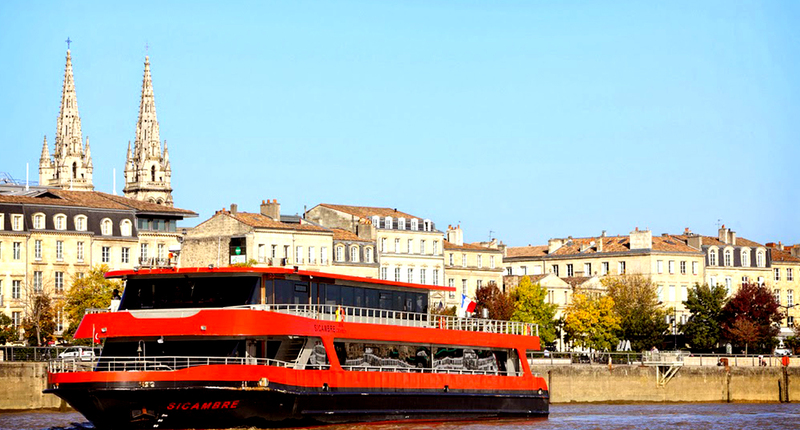 Bordeaux River Cruise offers you different types of cruises for an unforgettable half-day in the Bordeaux vineyards. Or perhaps you would prefer to raise a toast to the wines of Bordeaux on board the Sardane along the quays, or while enjoying a fabulous meal on board the Sicambre boat-restaurant? Phone: + 33 (0)5 56 39 27 66. Walks in the vineyards of Provence!